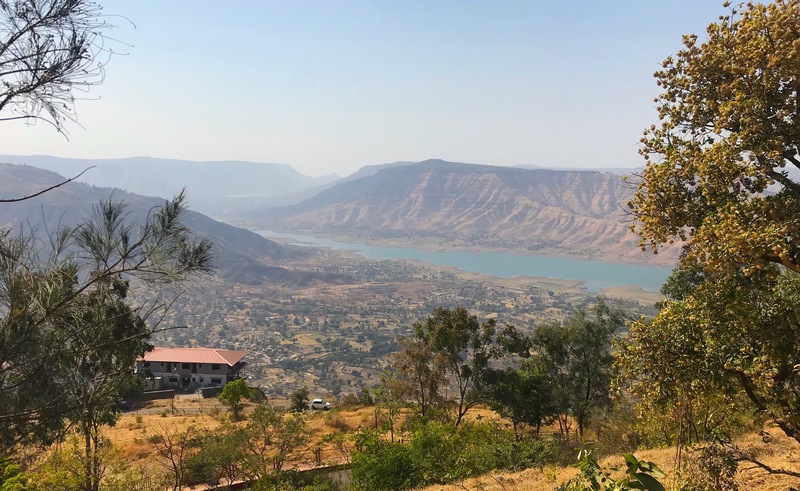 ‘We Will, We Will Rock You’… I hum as we drive from Pune to Panchgani (2 plus hours) through flat farmlands towards rugged hills and frisky rivers visible through gaps in the crowning greenery. I wonder if young Freddie Mercury, lead singer of rock band QUEEN was mesmerised by swaying Silver Oaks, Poinsettia and luscious strawberries while in boarding school of this British era hill station. 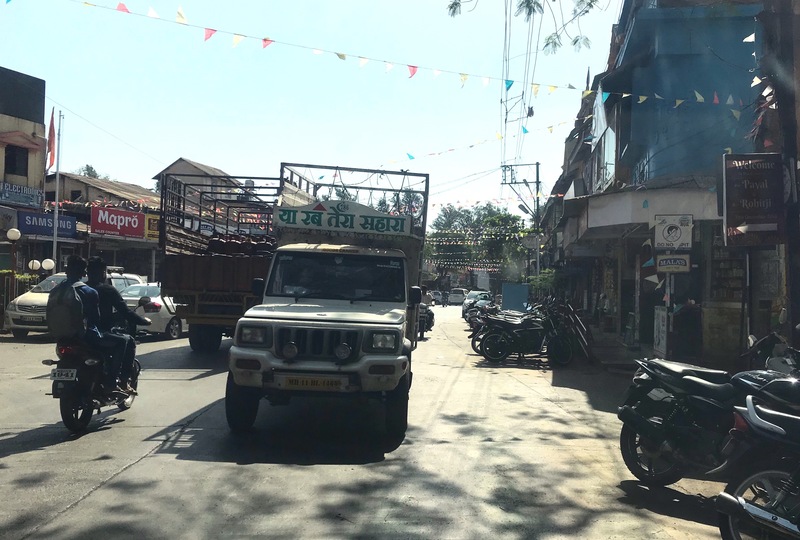 Panchgani, nestled on five hills of the Sahyadri mountains or the Western Ghats, was the find of John Chesson, a superintendent in charge of Panchgani in 1860s, deputed by the British to decide on a site for retirement and health resort. The year round salubrious climate was an instant draw and Panchgani became a popular summer retreat for serving and retired British personal. The Silver Oaks and Poinsettia were a gift of John Chesson to Panchgani. The 19thcentury saw establishment of schools and hospitals and it was here in one of prominent institutions, Saint Peters High School that Freddie Mercury spent his young years (1953 to 1958). Born Farrokh Balsara, to Parsi parents (Zoroastrians from Persia now Iran) settled in India and later British Zanzibar, he was sent to Panchgani to study. The young buck-toothed lad found an antidote for his shyness fine tuning his vocals in the school corridors and school Choir. The rest is history and as Freddie Mercury he straddled the world music stage. The British encouraged other professions and allotted land below the main bazaar (market) to the businesses turning the sleepy town into a booming colonial hill station. Vintage cottages, belonging to the British and to Indians who followed them, dot the landscape. Some converted into schools, hospitals, hotels surviving the vagaries of time while others, dilapidated, lie exposed as symbols of nostalgia. 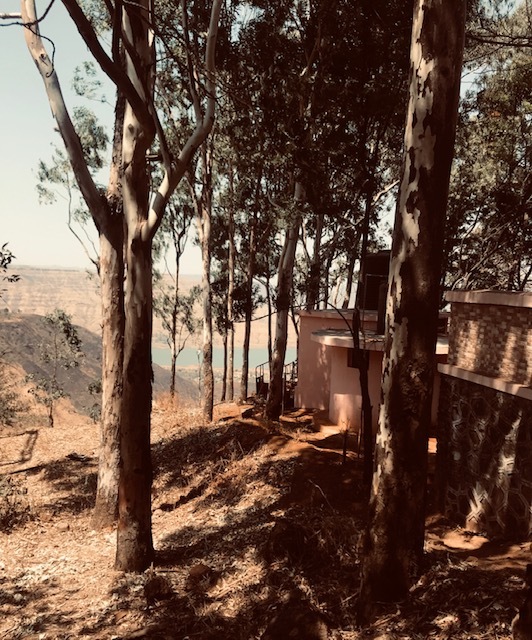 By 1980s, Panchgani was almost entirely an educational center and a health resort and today there are many popular and well-known schools including New Era School, a backdrop for many Bollywood movies. (Indian movie industry). 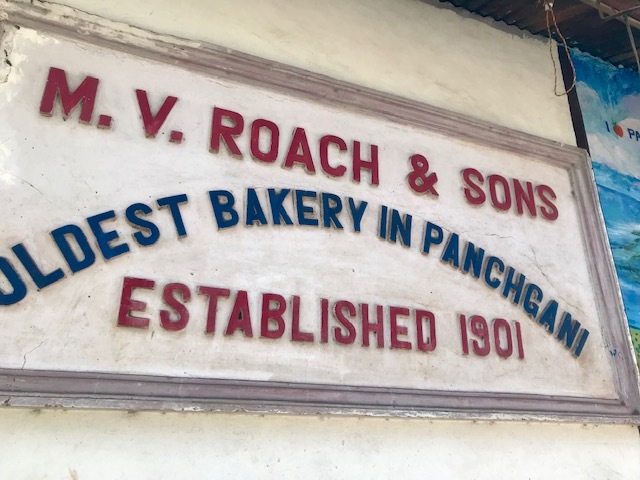 One such ‘nostaligia’ is‘E.F Raoch’ the oldest bakery famous for its cream rolls, jam tarts and butter beans…pastry shaped like a bean with strawberry cream filled center and topped with generous amount of chocolate cream. The present set up was not very tempting and we tried the cream-roll for ‘taste memory’. The shop is now a general store/bakery managed by mother and son. A day is insufficient to appreciate the beauty of the town and we tried to cover the maximum from viewing the ‘famous’ schools, specially Saint Peters, from outside, to walking the hilly lanes and alleys including the Main street crowded with stores, eating places, food carts selling roasted and other eatables. Color Me Red: The fruit of romance and love was everywhere ( March is strawberry time) and the first place we stopped was MAPRO strawberry garden and farms to admire the strawberry themed gardens, chocolate factory, fish pond and flowers in bloom, to purchase bottled jams, jellies and juices, chocolate Pan (beetle nut leave) and slurp strawberry ice cream. 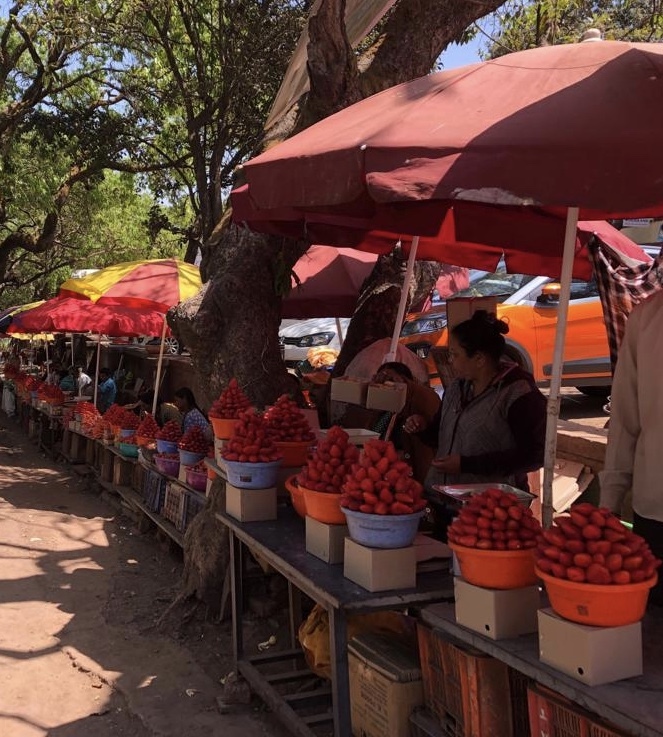 Strawberries, introduced by the British in Mahableshwar, 18 miles from Panchgani, found its way to the surrounding hills and today Panchgani is a booming strawberry destination. 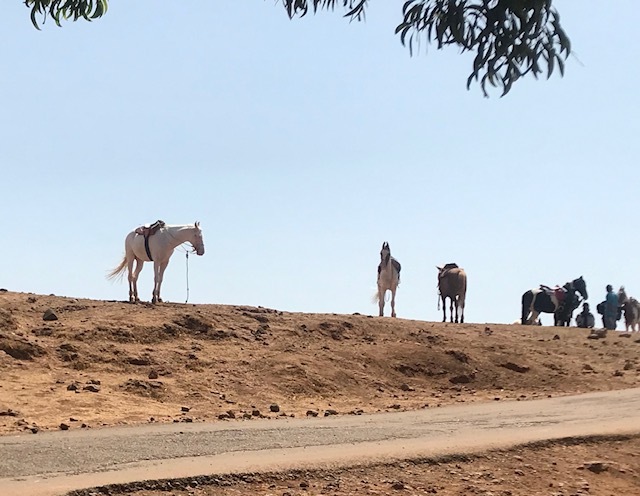 Sydney Point (2 km from the town) situated on a hillock facing Krishna (River) Valley is an ideal place to watch the glistening sinuous Krishna River meander to city of Wai and neighbouring state of Andhra Pradesh. A local Guide insisted on taking us around as ‘very few people venture to this Point’ and ‘it was a chance for him to share his knowledge of the place’. He did not take kindly to my saying that ‘information is available on Google’. Later I regretted my decision because the only information I could find was that Sydney Point is named after Sir Sydney Beckwarth, Commander-in-Chief and later Governor of Bombay in 1830. Sometimes it is better to listen to word of mouth. The scenic valley view is something to look forward to, especially during monsoons, but with afternoon sun blazing down on us we spent only few minutes admiring the view. Parsi Point: Our third stop was the iconic Parsi Point named after the well-known Parsi solicitor Pestonji Kanga. Pestonji bought an entire hill, known as Kanga Hill, between Kach Bawdi and Dulwich House and he and his friends would meet at a point, overlooking the Krishna Valley. This point was called ‘Pesi’s Point’ but with popular usage the name changed to Parsi Point. One can have a panoramic view of the hills and valley through ‘paid’ binocular. There is ice cream and soda shops and camel rides outside. .Table Land: The blazing afternoon sun added to the fantasy of Table Land, a popular tourist and film shoot spot. 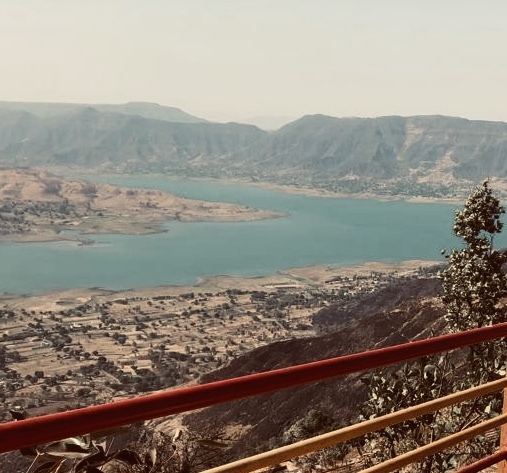 The hills surrounding Panchgani are capped by a volcanic plateau, the second highest in Asia after the Tibetan plateau and is part of the Deccan Plateau (Central India). Devil’s Kitchen cave, south of Table Land, has a mythological association with the Pandavas of Mahabharata epic, who supposedly stayed in the caves during their exile. There are ‘Pandava’s footprints’ marked by rock circles. The Pandavgar Caves in Wai, attributed to the Pandavas, lend credence to the legend. .
Rest of family ventured to the caves while I preferred to walk to the periphery of the ‘table’ past the waiting horses, to look down the valley below. If you stand for too long, focussing on the rocky outcrop, the afternoon sun can throw up visions of villains and heroes pushing each other down the cliffs. If an adventure enthusiast try parasailing, horseback riding, hiking etc. It is best to come early mornings, winter or summer, to avoid the sun and tourists. 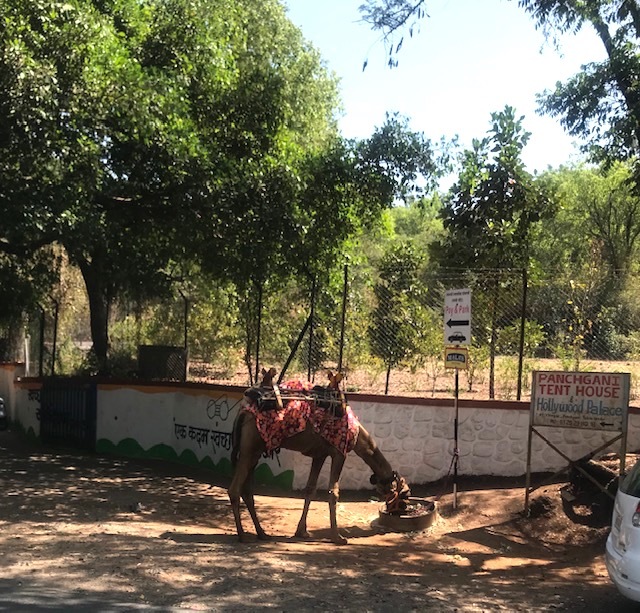 Other attractions near Panchgani worth visiting but we left them for another day are Sherbaug, a botanical delight with a huge cactus collection, Lake Venna (On Panchgani- Mahabaleshwar road) for boat rides and Bhilar village, between Panchgani and Mahabaleshwar. This is India’s first ‘books village’ with nearly 25 artistically decorated locations turned into reading spots. Currently the books available are only in Marathi, with English and Gujarati books to be added soon. We call it a day and head back to Pune rocked (lulled) into ‘rhapsody’ by the ‘fruit of romance’ reposing in cartons.